Cyclists are expected to follow the same rules and laws as motorists when utilizing Missouri roadways. In return, they have an expectation to be given the same notice and respect as any other vehicle. Drivers and riders alike need to be vigilant of one another’s presence and be sure to not engage in any reckless act that may cause someone harm. Missouri law states that bicycles be treated just like any other vehicle, and not be cut off or passed unsafely. If you have recently been injured by a car while out on your bicycle consult with a Missouri car accident attorney. Chances are your injuries are severe. You will need assistance to help recover the financial damages caused by the crash. The majority of drivers give little thought to the bicycles that they share the road with. The trouble with that is cyclists are extremely vulnerable to severe injury if struck by a car. In order to avoid accidents, there must be a mutual respect for each other. Most collisions between a car and a bicycle are a direct result of the driver of the motor vehicle neglecting to note the presence of the bicycle. A good deal of these occur at intersections where the driver inadvertently will cut in front of the path of a bicyclist while making a turn. 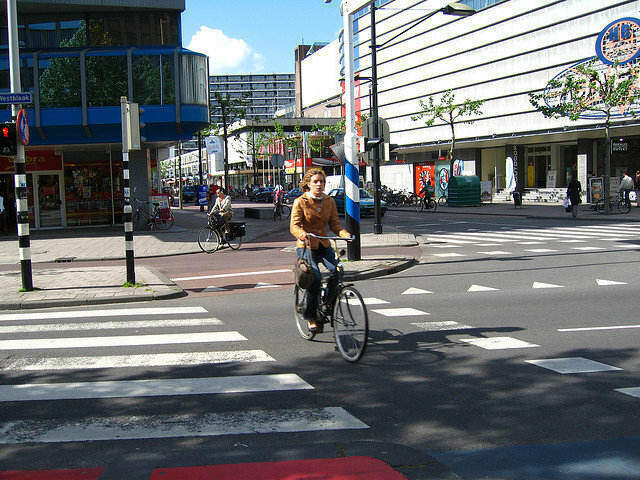 Cars must yield to bicycles the same as they would to another car. Another cause of bike accidents is unsafe passing. A bike, while slim, still needs space in order to operate. Passing too closely will either force them off of the road or cause you to side swipe them. Areas with a high amount of bicycle enthusiasts may employ bike paths to help keep cyclists safe. Sadly, many motorists will fail to respect its presence and a cyclist, believing they are out of harms way, is struck by a car and left with devastating injuries. An injured bicyclist is entitled to the same compensation as an injured motorist would be in a car accident. The process for filing a claim is virtually the same. The plaintiff must show how the motorist’s negligence caused their injury. Like any other car accident claim, the insurance company will be doing its utmost to try and place the blame on the bicyclist. A Missouri car accident attorney knows the typical defenses used in these cases and how to rebut them successfully. In order to avoid the possibility of punitive damages awarded for his reckless behavior, the insurance company for a driver who struck a bicyclist at a St. Louis intersection settled that claim for $50,000. Not only did the motor vehicle driver hit the bicycle, but he attempted to flee after the fact. Had the case gone to trial, that fact would have left him, and his insurance company, vulnerable to a much higher award. Bicyclists must also show respect for motor vehicles by obeying traffic laws and heeding to the rules of the road. If they are unwilling to do so then they can be held responsible for any accident that involves them. If an accident with a motor vehicle caused you bodily harm, bring the details and your hospital records to The Hoffmann Law Firm, L.L.C. for review. We can help determine fault and whether or not you are entitled to compensation for your injuries. Call us today at (314) 361-4242.